It’s a little dress made out of Drops Safran, for friends that have just had a baby girl. 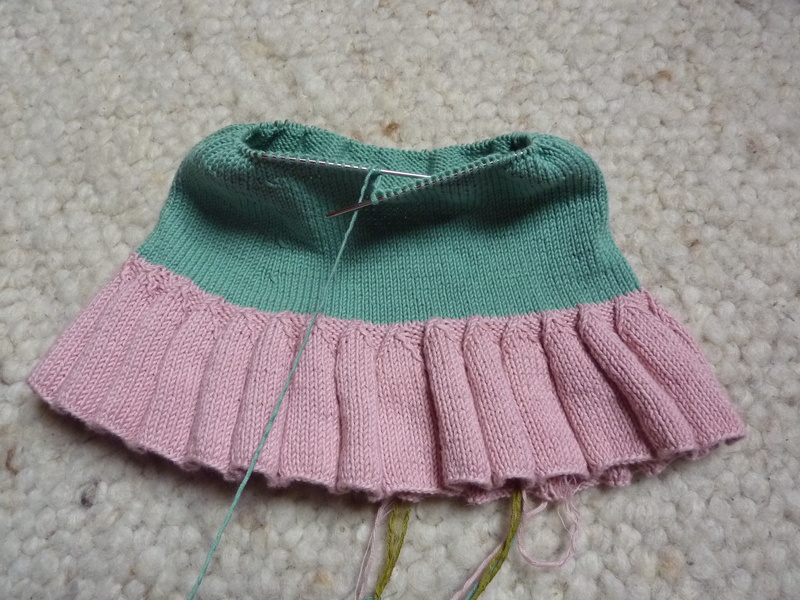 It’s a pattern from Garnstudio, and while the start was quite tedious, try working 420 stitches on circular needles. I’m now loving this pattern, the flounce at the bottom looks fantastic and there are more nice details to come at the top. So watch this space! This entry was posted on October 19, 2011 at 2:49 pm and is filed under Baby, Knitting with tags baby girl, dress, garnstudio, girl. You can follow any responses to this entry through the RSS 2.0 feed. You can leave a response, or trackback from your own site. oh i love that little pleated skirt! so sweet!